A body washes up on the beach near Ramsgate in the South of England. For Detective Sergeant Solomon Gray, the case appears cut and dried – the drowning of an immigrant. Another victim to the sea in his desperate attempt to reach the UK. As the tidewaters recede, two more corpses surface. One appears to also be a refugee, but he’s been stabbed to death. The other, Gray recognises immediately and Gray knows this means trouble. Because the corpse is the son of local business tycoon Jake Armitage, a man with a dark reputation and an ex-school friend of Gray’s. A post mortem reveals ligature marks on the son’s wrists and drugs in his bloodstream. All signs indicate murder. Armitage swears to track down his son’s killer and avenge his death. Gray’s investigation points to a deadly fire ten years prior, and soon Armitage comes under suspicion. But Gray knows what it’s like to lose a child and puts aside his distrust of Armitage to help. How are the dead men connected to each other – and to the infamous fire? 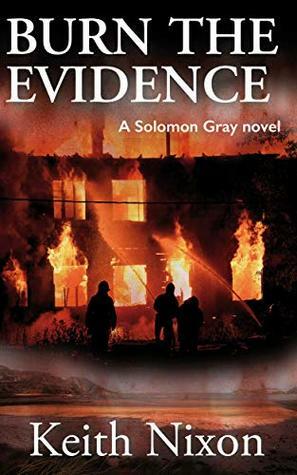 Burn the Evidence is the second book in the series featuring Detective Sergeant Solomon Gray. Pick it up now to discover whether Gray can escape his past in this taut crime series. Usher has held a grudge all this time, and he won’t stop until he gets revenge on the dirty cop who framed him all those years ago. Usher wants Gray’s help, acting as an inside man within the police. Gray refuses, but Usher has leverage – information on Gray’s missing son. 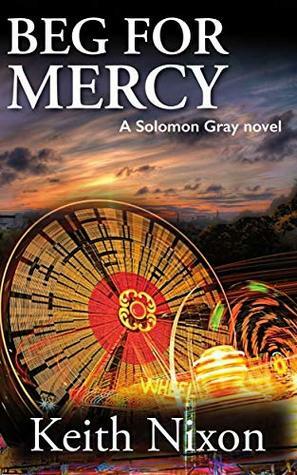 When Nick Buckingham falls from the fifth floor of an apartment Detective Solomon, Sol Gray is called in and he learns that Nick, who Sol has never met, has Sol’s number in his phone. Then Sol learns that his priest has been found killed in this church. Then a woman that he knew is found dead too. The only link to all three murders is Sol. This is just the beginning. We also learn that ten years ago Sol’s son Tom was abducted and they have not hear from him or found his body. This lead to his wife committing suicide and his daughter alienating herself from him. He seems to be a hard man that won’t listen to anyone and is generally a cantankerous old jerk. But knowing everything else you can’t help but feel for him. I originally thought that this book was going to be a basic detective story but there was so much more to the story. It tells the story of a broken man. I really enjoyed the read and an curious to see what happens to Sol in the next book. I would like to thank BOTBS Publicity for the opportunity to read and share this book.